Ireland says that packages of content on PlayersVoice start at around $20,000 and this can be scaled out to ‘always on’ activations throughout a whole season as well as bespoke created content. PlayersVoice has an inhouse studio to help brands create video content. Entry level integrations with individual articles cost less, depending on the profile of an athlete. “We deliver 100% viewability and 100% share of voice on each piece of content – there’s no clickbait, no news, no scores and there’s no gambling presence on our site. We’re the only sports publisher in the country that sticks to that promise,” Ireland adds. Display ads flash when a story is opened and then disappear after a few seconds, leaving content uncluttered. PlayersVoice’s approach to display advertising is refreshing in an era where static display advertising often obstructs the user experience and encourages adblockers. 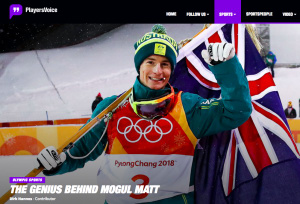 The Kantar Millward Brown study, which was commissioned by PlayersVoice, found its approach to non-intrusive integrations is resonating well with users when compared to other online publishers. According to the study, Seven in ten (72%) respondents said they felt more favourable towards brands that sponsored content on PlayersVoice while 89% trust its style of athlete-produced content more than stories crafted by journalists on sports media websites. The study, which polled 285 users, also looked at the impact of a financial services brand that had integrated on the platform. It found a 12% uplift in the brands’ association with the sport it sponsored. Although the findings present a positive slant on PlayersVoice, it also highlights a lack of user trust in mainstream sports media. For athletes, it provides a platform to tell their own, unvarnished story. Although this can be viewed as a form of PR, PlayersVoice has an editorial team that assesses the credibility of content to ensure it is interesting and meets editorial standards. In a press statement, Australian tennis star Nick Kyrgios said that PlayersVoice had "given me a platform to relate on a very real and human level with a much broader audience than I usually have access to”. “It has also enabled me to talk very directly about what really matters to me in life without getting misquoted or attacked by keyboard warriors." Although the keyboard warriors may still exist, PlayersVoice gives athletes an outlet to present a different image and share more about their lives than would typically be reported in the mainstream press. For brands, it’s a new opportunity to align with sporting codes and stars in a safe and highly engaged environment. Although its early days, PlayersVoice has got some solid runs on the board early on in their innings. Sports fans and brands are rapidly warming to new athlete publishing platform PlayersVoice. In its first four months, PlayersVoice has attracted 15 commercial partners, 170 athlete contributors and an audience of 1.5 million unique users. A new study by Kantar Millward Brown has found the platform garners high levels of user trust, as users are more receptive to its non-intrusive content sponsorship model. PlayersVoice publishes long-form articles, podcasts and videos in the voice of sports stars and has the likes of tennis star Nick Kyrgios, Socceroos goalkeeper Maty Ryan, Matildas star Sam Kerr, professional boxer Jeff Horn and surfing champ Sally Fitzgibbons, among a host of NRL, AFL and cricket stars, on board. 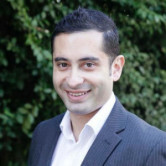 Commercial partners include Commonwealth Bank, Virgin Australia, Yellow Brick Road, Rebel Sport and more. It allows brands to align with sports codes and athletes at lower entry points than traditional media spots or sports sponsorship. “Each of our brand partners has come on for a significant play, some are integrating in 10 or 15 stories from some of the best athletes in the country,” PlayersVoice commercial director Adam Ireland tells AdNews. “What we are finding is brands want to test the waters first and then, it they want to scale things and reach a larger audience, we do that by offering them more stories."